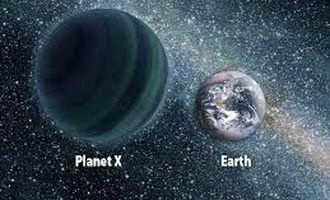 ALMOST A YEAR AGO the scientists at Calteck issued a Paper on their research on Verifying the existence of Nibiru / Planet X. I guess they agreed with me in what I said several years ago after I ran the numbers in years from when Noah built his "Ark" and was flooded out, after a huge 2 mile tall ice flake slid into the ocean from Antarktica. This, combined with the buckling of the crust of the Earth from NIBIRU coming throuh, created a Tsunami washing over the Middle East, India, the Americas and everywhere else - - washing it clean and killing everyone. Calteck agrees, NIBIRU will not be here next month to kill everyone - not next year - not next Decade. READ MY COMMENT AFTER THEIR ARTICLE. The researchers, Konstantin Batygin and Mike Brown, discovered the planet's existence through mathematical modeling and computer simulations but have not yet observed the object directly. "This would be a real ninth planet," says Brown, the Richard and Barbara Rosenberg Professor of Planetary Astronomy. "There have only been two true planets discovered since ancient times, and this would be a third. It's a pretty substantial chunk of our solar system that's still out there to be found, which is pretty exciting." Brown notes that the putative ninth planet—at 5,000 times the mass of Pluto—is sufficiently large that there should be no debate about whether it is a true planet. Unlike the class of smaller objects now known as dwarf planets, Planet Nine gravitationally dominates its neighborhood of the solar system. In fact, it dominates a region larger than any of the other known planets—a fact that Brown says makes it "the most planet-y of the planets in the whole solar system." "Although we were initially quite skeptical that this planet could exist, as we continued to investigate its orbit and what it would mean for the outer solar system, we become increasingly convinced that it is out there," says Batygin, an assistant professor of planetary science. "For the first time in over 150 years, there is solid evidence that the solar system's planetary census is incomplete." The road to the theoretical discovery was not straightforward. In 2014, a former postdoc of Brown's, Chad Trujillo, and his colleague Scott Sheppard published a paper noting that 13 of the most distant objects in the Kuiper Belt are similar with respect to an obscure orbital feature. To explain that similarity, they suggested the possible presence of a small planet. Brown thought the planet solution was unlikely, but his interest was piqued. He took the problem down the hall to Batygin, and the two started what became a year-and-a-half-long collaboration to investigate the distant objects. As an observer and a theorist, respectively, the researchers approached the work from very different perspectives—Brown as someone who looks at the sky and tries to anchor everything in the context of what can be seen, and Batygin as someone who puts himself within the context of dynamics, considering how things might work from a physics standpoint. Those differences allowed the researchers to challenge each other's ideas and to consider new possibilities. "I would bring in some of these observational aspects; he would come back with arguments from theory, and we would push each other. I don't think the discovery would have happened without that back and forth," says Brown. " It was perhaps the most fun year of working on a problem in the solar system that I've ever had." Fairly quickly Batygin and Brown realized that the six most distant objects from Trujillo and Sheppard's original collection all follow elliptical orbits that point in the same direction in physical space. That is particularly surprising because the outermost points of their orbits move around the solar system, and they travel at different rates. The first possibility they investigated was that perhaps there are enough distant Kuiper Belt objects—some of which have not yet been discovered—to exert the gravity needed to keep that subpopulation clustered together. The researchers quickly ruled this out when it turned out that such a scenario would require the Kuiper Belt to have about 100 times the mass it has today. That left them with the idea of a planet. Their first instinct was to run simulations involving a planet in a distant orbit that encircled the orbits of the six Kuiper Belt objects, acting like a giant lasso to wrangle them into their alignment. Batygin says that almost works but does not provide the observed eccentricities precisely. "Close, but no cigar," he says. "Your natural response is 'This orbital geometry can't be right. This can't be stable over the long term because, after all, this would cause the planet and these objects to meet and eventually collide,'" says Batygin. But through a mechanism known as mean-motion resonance, the anti-aligned orbit of the ninth planet actually prevents the Kuiper Belt objects from colliding with it and keeps them aligned. As orbiting objects approach each other they exchange energy. So, for example, for every four orbits Planet Nine makes, a distant Kuiper Belt object might complete nine orbits. They never collide. 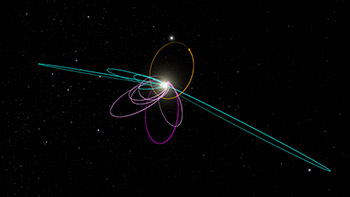 Instead, like a parent maintaining the arc of a child on a swing with periodic pushes, Planet Nine nudges the orbits of distant Kuiper Belt objects such that their configuration with relation to the planet is preserved. But little by little, as the researchers investigated additional features and consequences of the model, they became persuaded. "A good theory should not only explain things that you set out to explain. 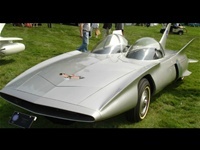 It should hopefully explain things that you didn't set out to explain and make predictions that are testable," says Batygin. And indeed Planet Nine's existence helps explain more than just the alignment of the distant Kuiper Belt objects. It also provides an explanation for the mysterious orbits that two of them trace. The first of those objects, dubbed Sedna, was discovered by Brown in 2003. Unlike standard-variety Kuiper Belt objects, which get gravitationally "kicked out" by Neptune and then return back to it, Sedna never gets very close to Neptune. A second object like Sedna, known as 2012 VP113, was announced by Trujillo and Sheppard in 2014. Batygin and Brown found that the presence of Planet Nine in its proposed orbit naturally produces Sedna-like objects by taking a standard Kuiper Belt object and slowly pulling it away into an orbit less connected to Neptune. A predicted consequence of Planet Nine is that a second set of confined objects should also exist. These objects are forced into positions at right angles to Planet Nine and into orbits that are perpendicular to the plane of the solar system. Five known objects (blue) fit this prediction precisely. But the real kicker for the researchers was the fact that their simulations also predicted that there would be objects in the Kuiper Belt on orbits inclined perpendicularly to the plane of the planets. Batygin kept finding evidence for these in his simulations and took them to Brown. "Suddenly I realized there are objects like that," recalls Brown. In the last three years, observers have identified four objects tracing orbits roughly along one perpendicular line from Neptune and one object along another. "We plotted up the positions of those objects and their orbits, and they matched the simulations exactly," says Brown. "When we found that, my jaw sort of hit the floor." "When the simulation aligned the distant Kuiper Belt objects and created objects like Sedna, we thought this is kind of awesome—you kill two birds with one stone," says Batygin. "But with the existence of the planet also explaining these perpendicular orbits, not only do you kill two birds, you also take down a bird that you didn't realize was sitting in a nearby tree." Where did Planet Nine come from and how did it end up in the outer solar system? Scientists have long believed that the early solar system began with four planetary cores that went on to grab all of the gas around them, forming the four gas planets—Jupiter, Saturn, Uranus, and Neptune. Over time, collisions and ejections shaped them and moved them out to their present locations. "But there is no reason that there could not have been five cores, rather than four," says Brown. Planet Nine could represent that fifth core, and if it got too close to Jupiter or Saturn, it could have been ejected into its distant, eccentric orbit. Batygin and Brown continue to refine their simulations and learn more about the planet's orbit and its influence on the distant solar system. Meanwhile, Brown and other colleagues have begun searching the skies for Planet Nine. Only the planet's rough orbit is known, not the precise location of the planet on that elliptical path. If the planet happens to be close to its perihelion, Brown says, astronomers should be able to spot it in images captured by previous surveys. If it is in the most distant part of its orbit, the world's largest telescopes—such as the twin 10-meter telescopes at the W. M. Keck Observatory and the Subaru Telescope, all on Mauna Kea in Hawaii—will be needed to see it. If, however, Planet Nine is now located anywhere in between, many telescopes have a shot at finding it. "I would love to find it," says Brown. "But I'd also be perfectly happy if someone else found it. That is why we're publishing this paper. We hope that other people are going to get inspired and start searching." In terms of understanding more about the solar system's context in the rest of the universe, Batygin says that in a couple of ways, this ninth planet that seems like such an oddball to us would actually make our solar system more similar to the other planetary systems that astronomers are finding around other stars. First, most of the planets around other sunlike stars have no single orbital range—that is, some orbit extremely close to their host stars while others follow exceptionally distant orbits. Second, the most common planets around other stars range between 1 and 10 Earth-masses. "One of the most startling discoveries about other planetary systems has been that the most common type of planet out there has a mass between that of Earth and that of Neptune," says Batygin. "Until now, we've thought that the solar system was lacking in this most common type of planet. Maybe we're more normal after all." Brown, well known for the significant role he played in the demotion of Pluto from a planet to a dwarf planet adds, "All those people who are mad that Pluto is no longer a planet can be thrilled to know that there is a real planet out there still to be found," he says. "Now we can go and find this planet and make the solar system have nine planets once again." The paper is titled "Evidence for a Distant Giant Planet in the Solar System." I know - - they only proved it's existence. For more of the details we need to read the Real History of Earth: The Sumerian Tablets. It has a 3660 year orbit. It is actually a "Brown Dwarf" (Sun) with several planets around it. So it is a small Solar system coming back in to a position of between the 4th and the 5th Planet (Mars and Jupiter) and turning around and going out again. Hopefully, none of this will hit anything that is already here - - It did once, because that is what created The Astroid belt.